Eat your hearts out, whippersnappers. 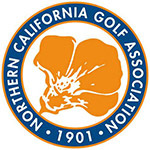 Vanier and Anderson, who at age 68 and 64, respectively, combined to be the oldest team in the Senior field, shot a final round 3-under 68 Wednesday at par-71 Poppy Hills Golf Course to run away with a three-shot victory at the annual NCGA Senior Four-Ball Championship. The two, who finished with a three-day total of 14-under 199 and practice together at Dana Jetter’s private range in Pleasanton, posted five birdies to go against just two bogeys to hold off the co-runners-up teams of Randy Haag and John Watson (69) and Corey West and Eric Smith (70). Among the winners’ key stats–accuracy off the tee. Over their first 36 holes, Vanier and Anderson only missed two fairways. They’d also get assistance from Spyglass Hill caddie Al Spallino. With the win, Vanier became the all-time leader in NCGA Senior victories with 10. He had previously been tied with Jim Knoll. Jeff Burda and Jim McMurtrey. The team of Andrew Gabelman and Jeff Britton (T-4) were for a time the leaders in the clubhouse after shooting a dazzling 63. Vanier is now a two-time winner of the event, having also won with Mark Miller in 2013. The shot of the tournament went to Iain MacDonald, who aced the par-3, 189-yard 11th hole in the final round. In the Super Senior Championship, the team of fellow 70-year-olds Bruce Loman and Dave Sheff carded a final round 5-under 66 to come in at 5-under 208, defeating the runner-up tandems of Jim Knoll and Kemp Richardson and Hunter Nelson and Frank Pieper by a shot. Loman and Sheff, who began the day five shots behind leaders Mark Miller and Michael Harding, also won the title in 2016. The champions each spent long careers in the golf industry. Sheff worked for PING for 30 years, while Loman worked for Callaway for three decades. Knoll and Richardson, who were hoping to become the first Super Senior repeat champs, had a final round 69. Nelson and Pieper, the son of amateur legend Ernie Pieper, also had a closing 69. Miller and Harding slipped to T-6 after a 75. First played in 1999, the NCGA Senior Four-Ball Championship is a two-person, better-ball scratch event for senior (age 55+) and super senior (65+) golfers. The format is 54 holes four-ball stroke play (18 holes per day) over three days. After 36 holes the field will be cut to the low 30 teams and ties.